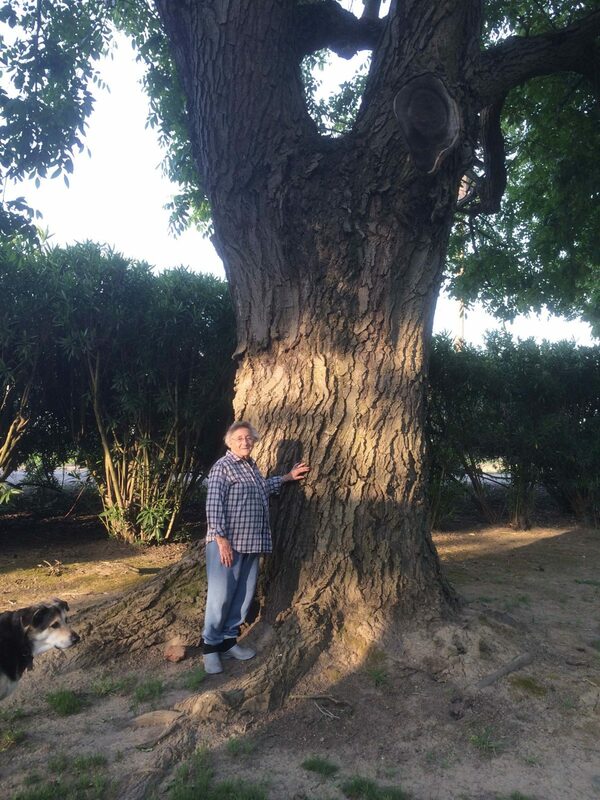 Meet Dolores, she was the proud owner of this Huge Bastogne Walnut tree that her dad planted in 1965. 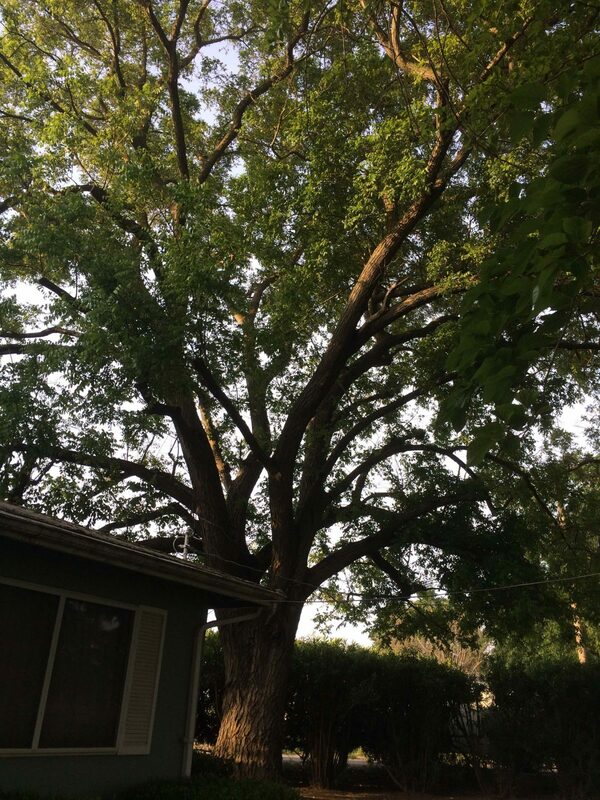 She has spent here entire life within 10 miles of the house she lives in now. 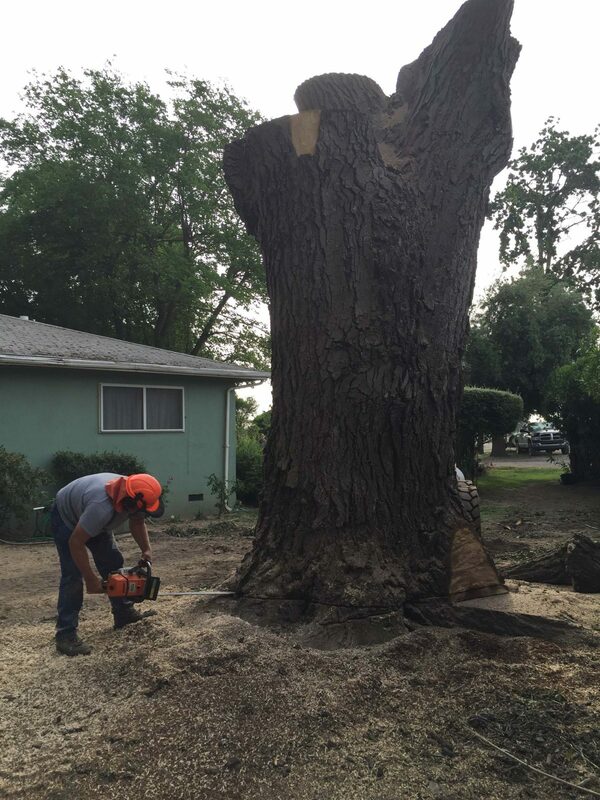 The Bastogne tree was planted in the front yard and was well watered and grew very large in a short amount of time. 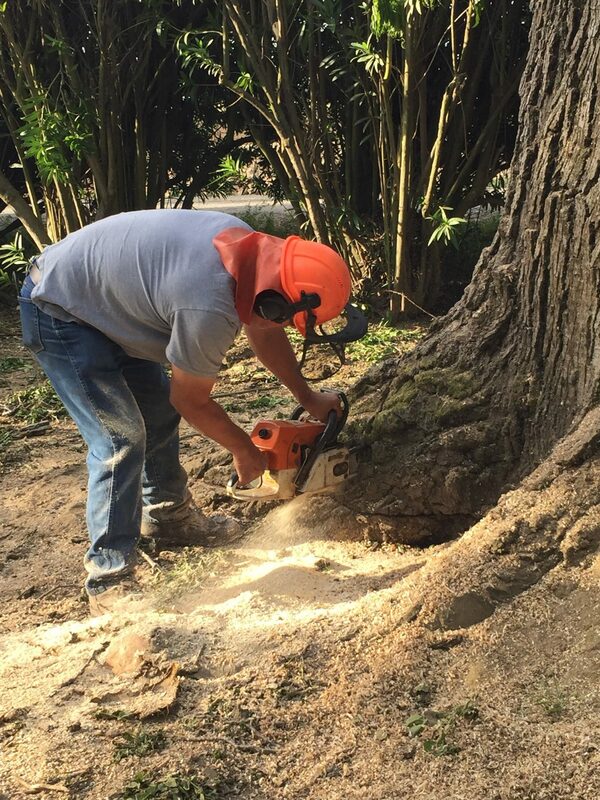 A few years back she noticed the roots were growing under her house and were beginning to lift the corner of the it. 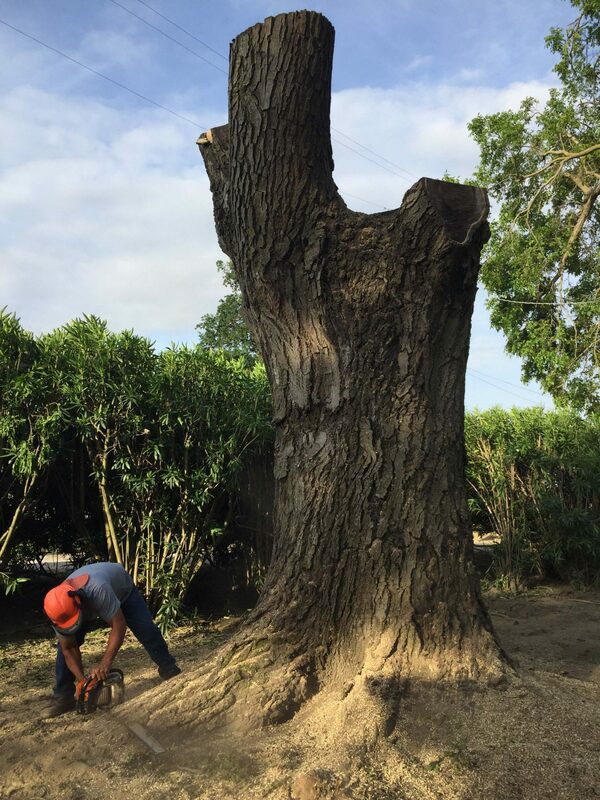 The branches of the tree were huge and spread halfway across the top of her house and she was worried it was only a matter of time before a branch broke off and smashed her home. 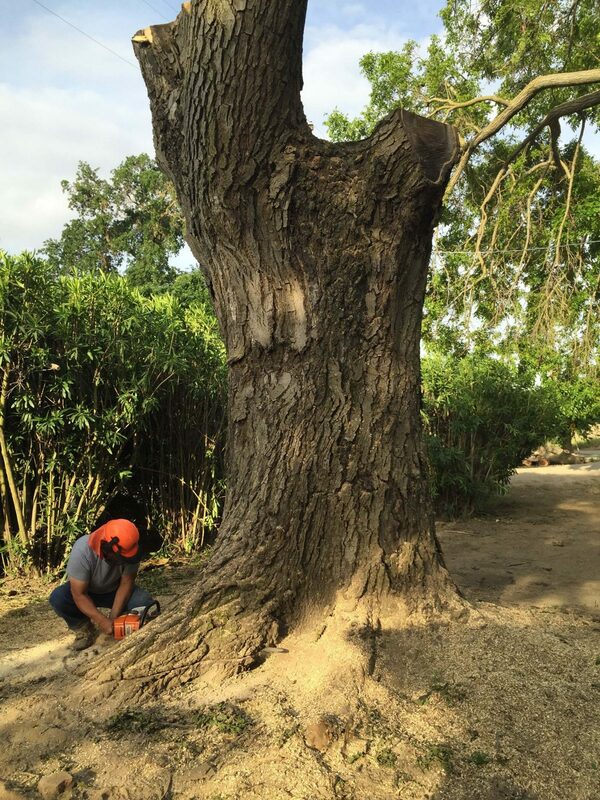 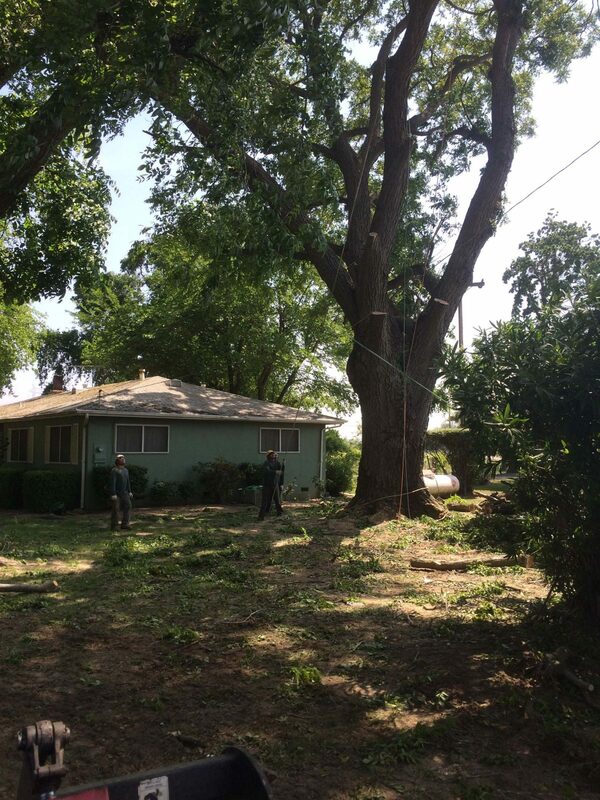 Upon multiple opinions from local arborists, she decided it was time to have the tree removed. 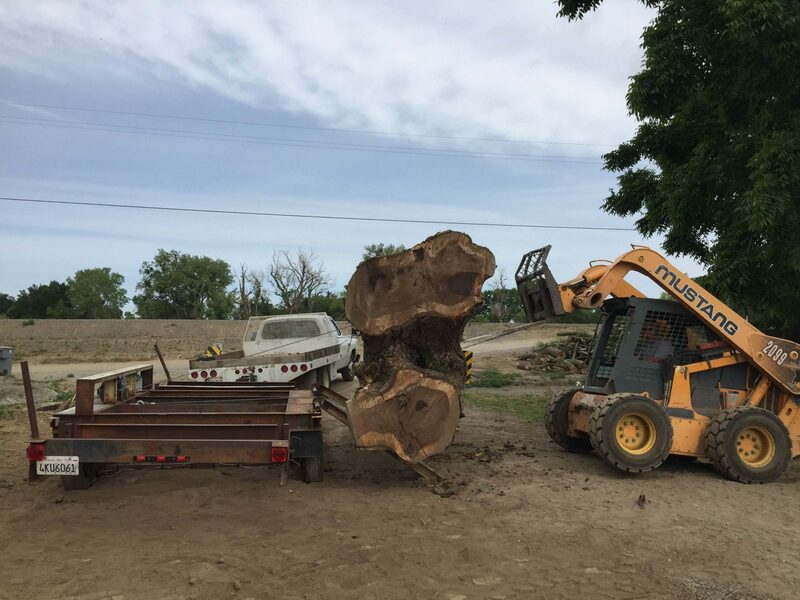 Instead of it going to the burnpile or fireplace she wanted it to be used for something much more, so she had us come in and salvage it. 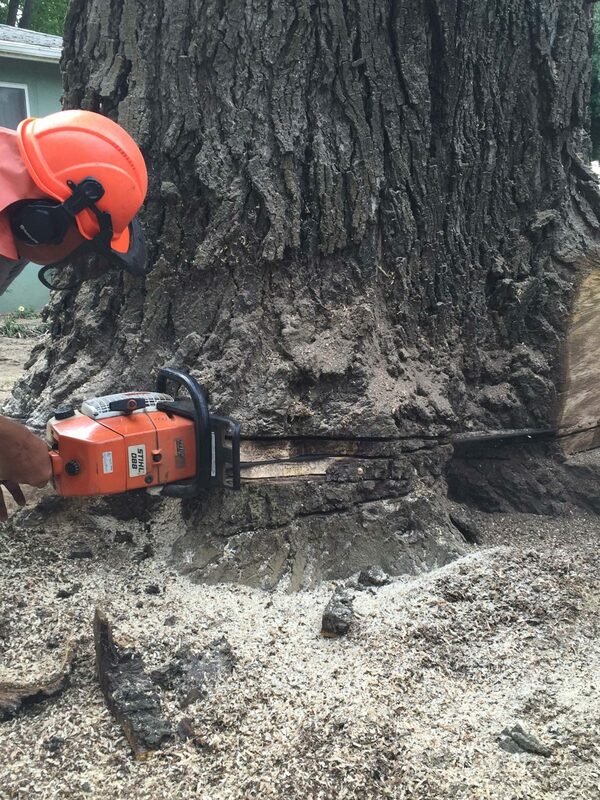 We couldn’t be happier to salvage it. 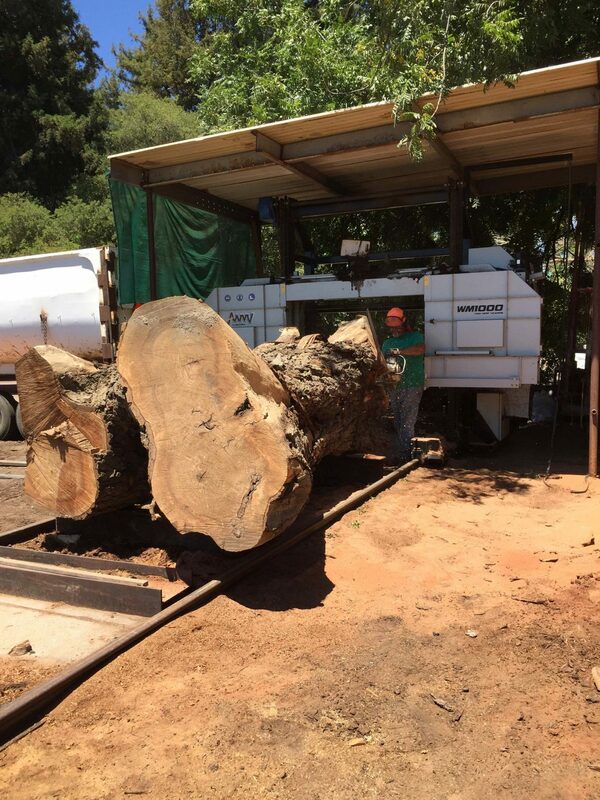 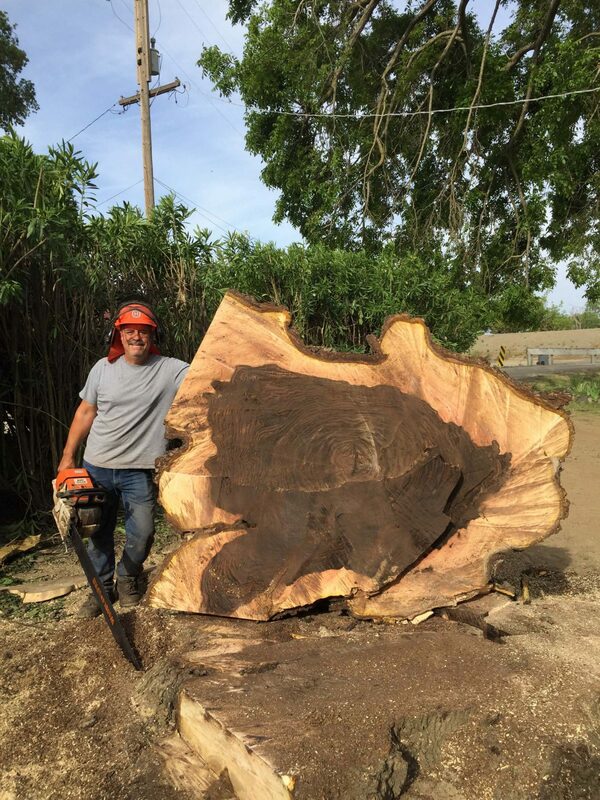 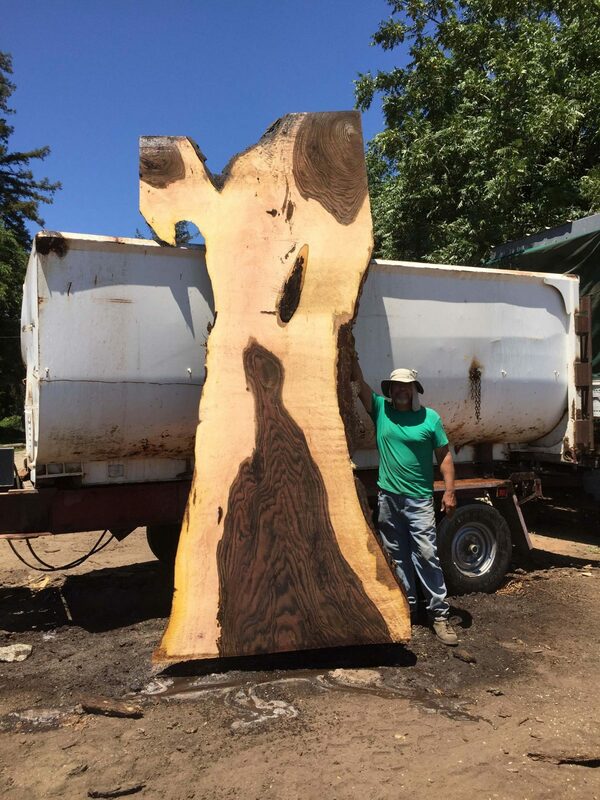 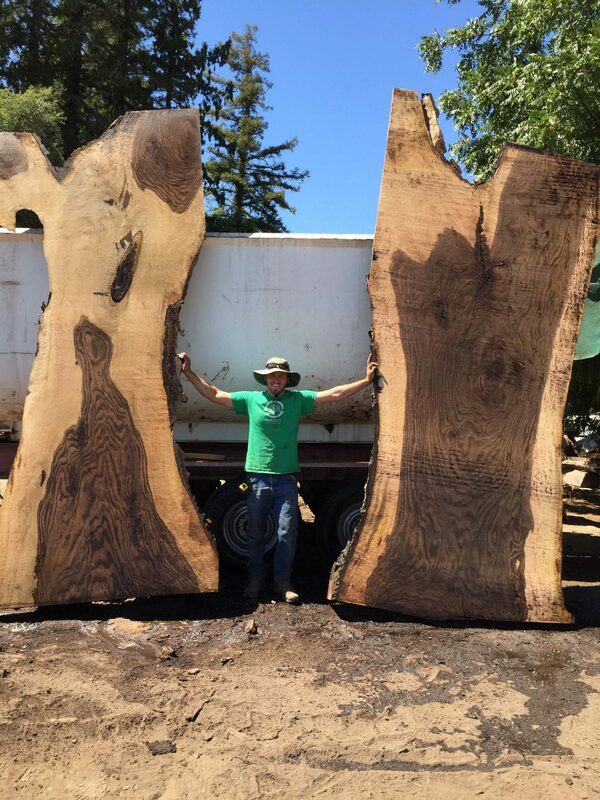 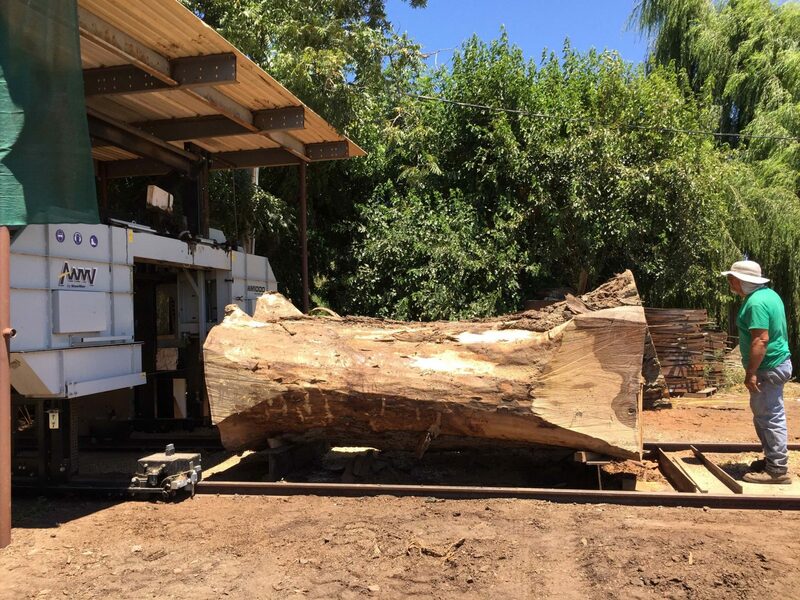 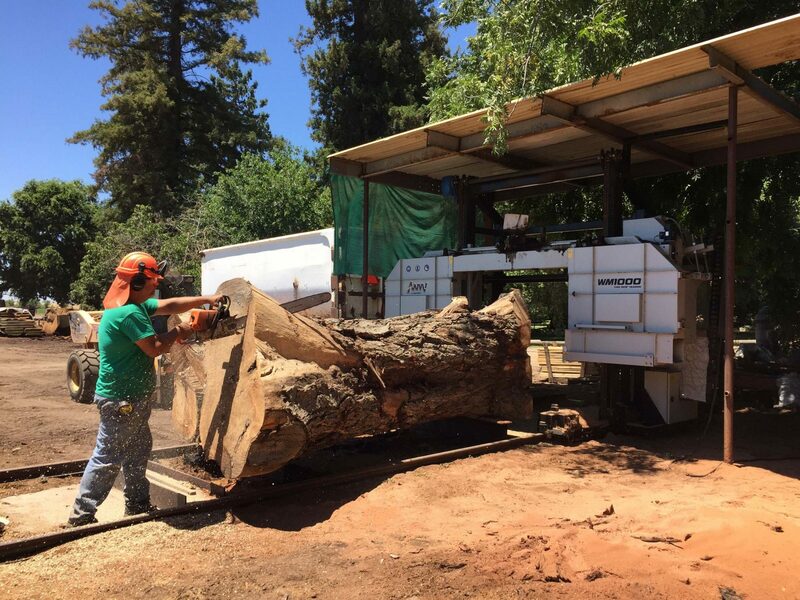 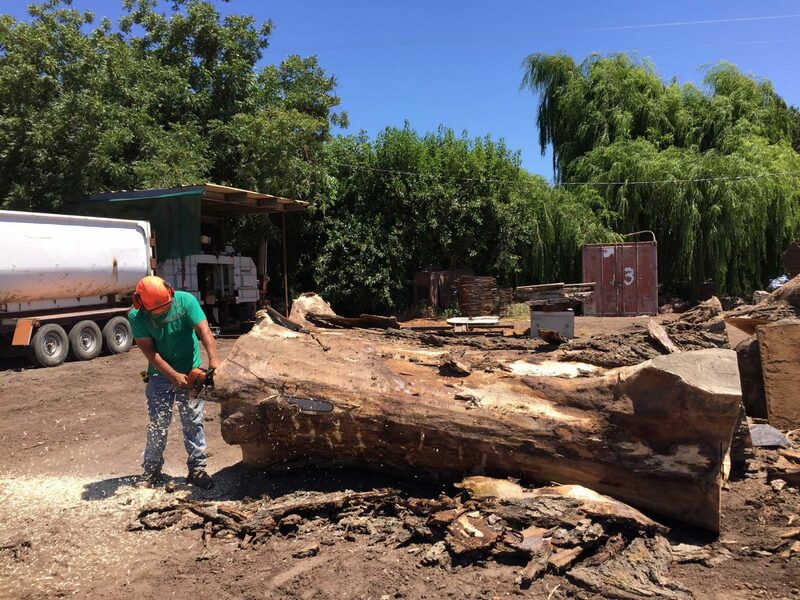 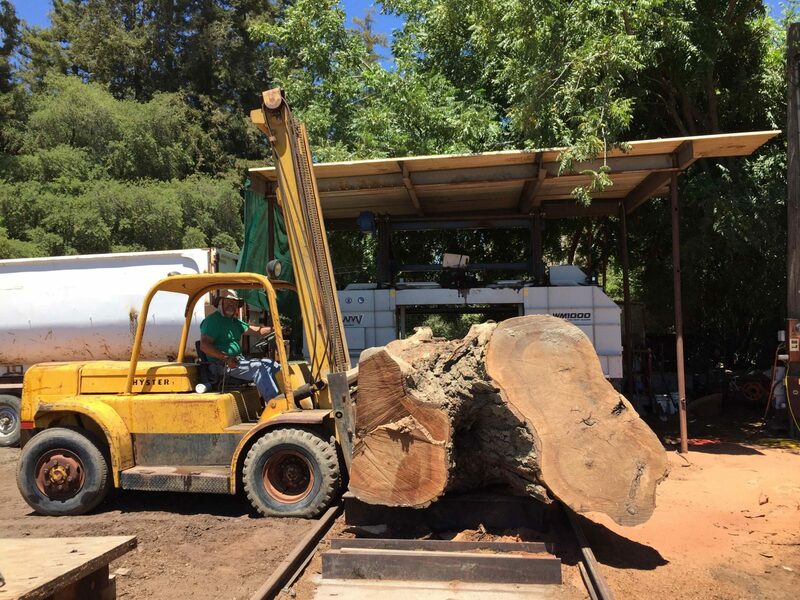 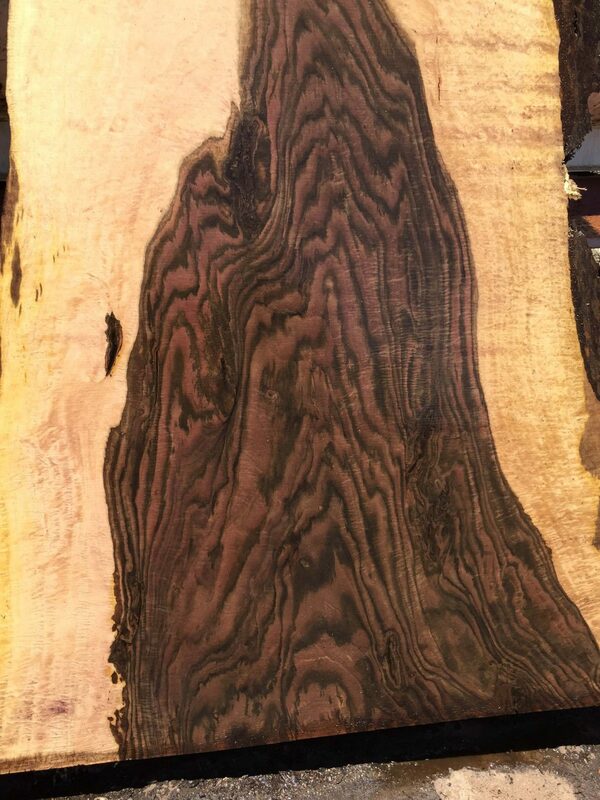 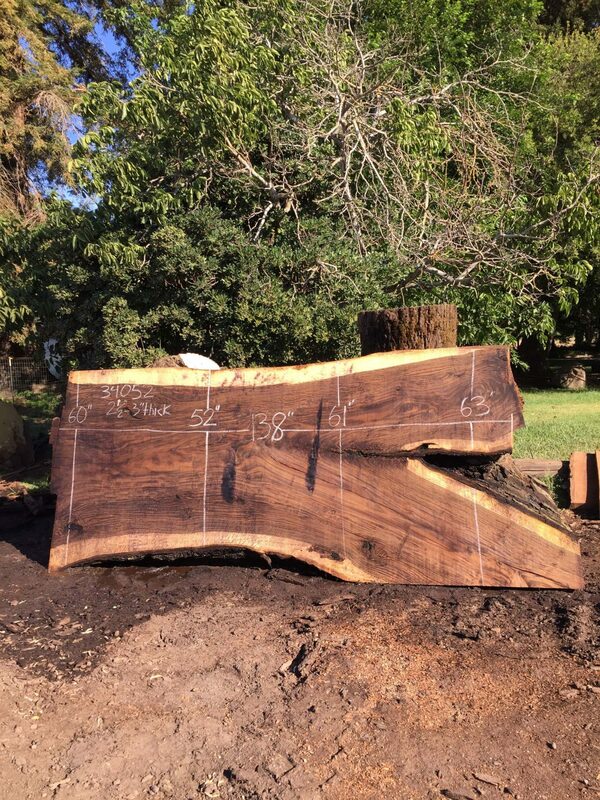 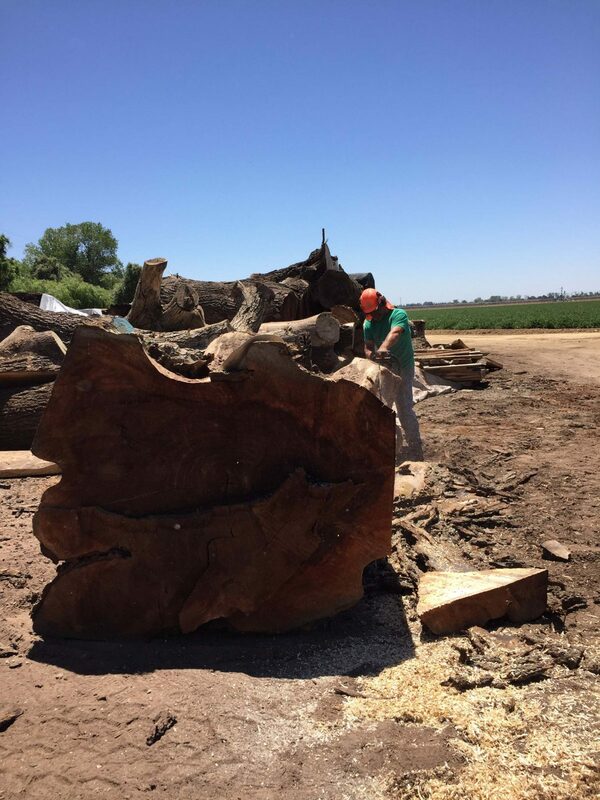 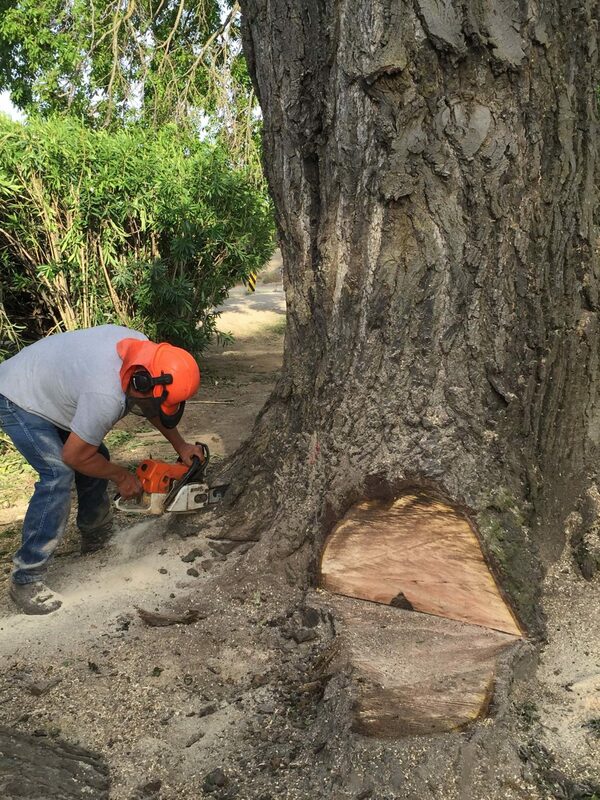 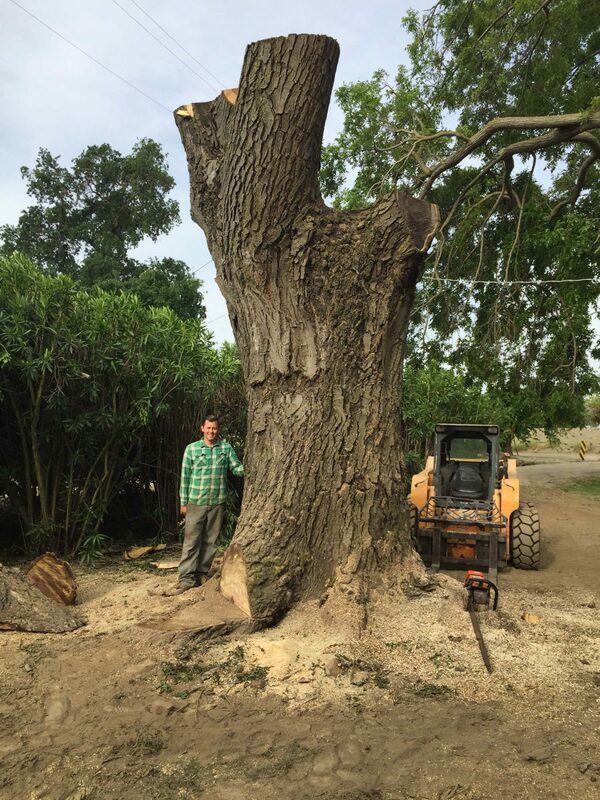 We recently milled this beautiful tree on our Woodmizer WM1000. 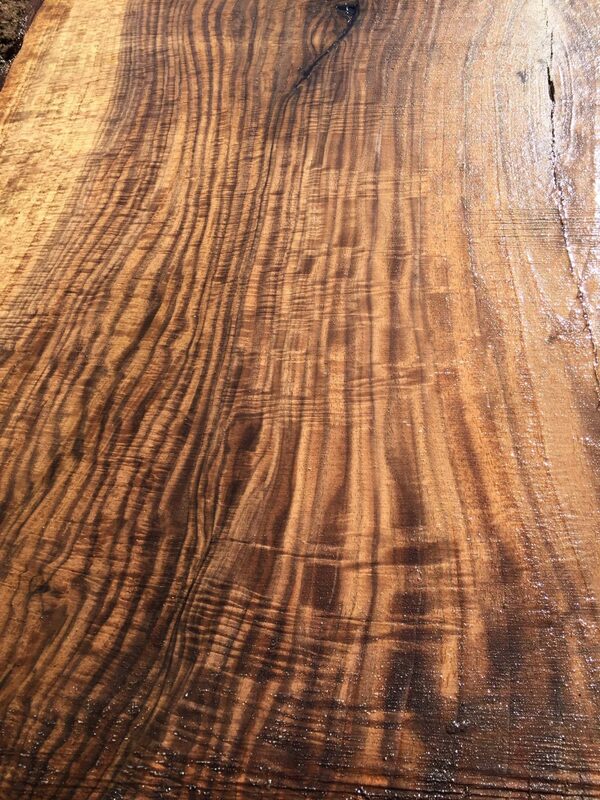 The wood is absolutley gorgeous and it will make many beautiful tables. 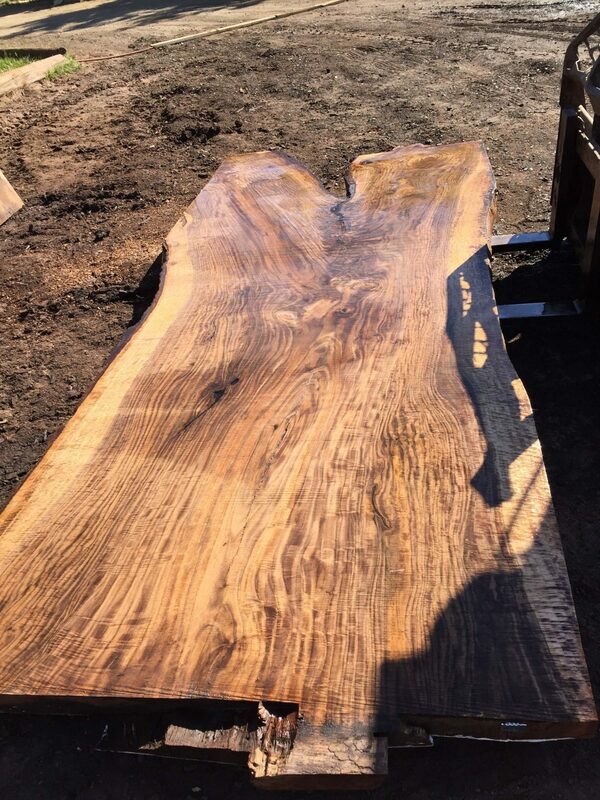 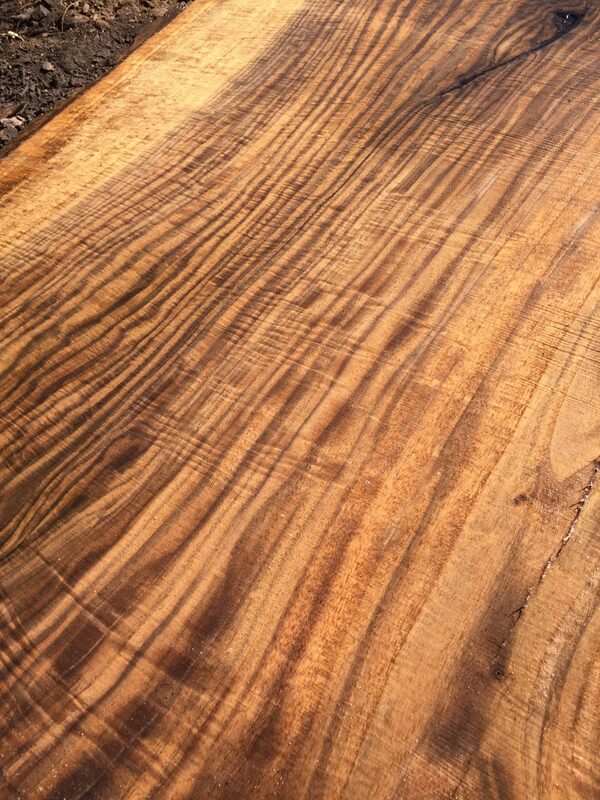 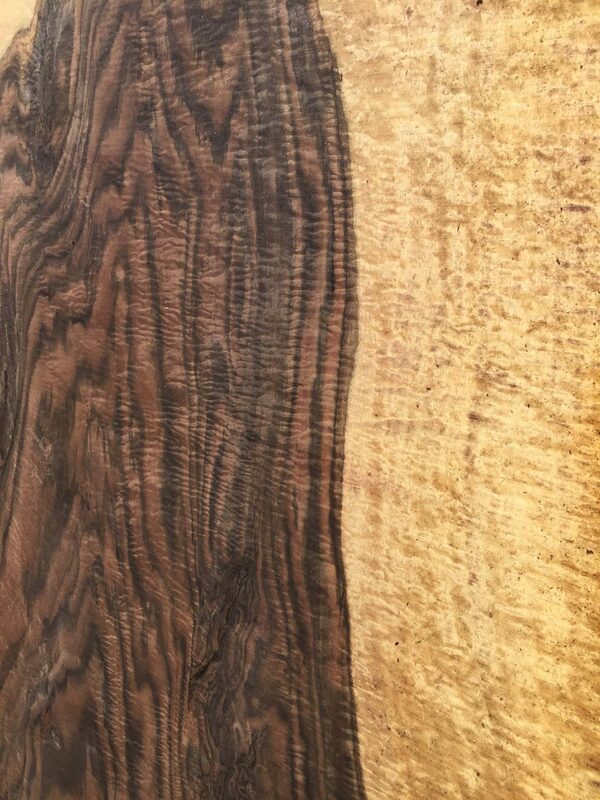 Learn more about walnut slabs. 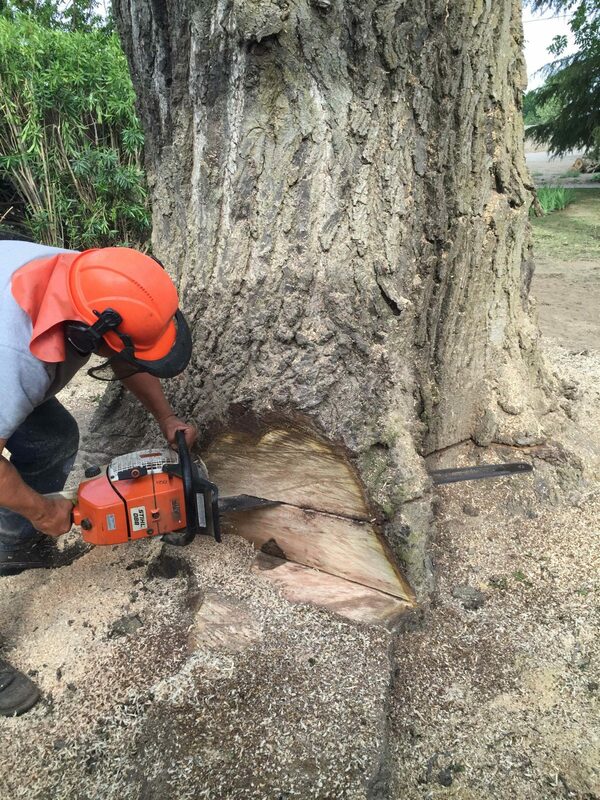 We had to trim off over a foot on each end to fit inside of the 67″ wide throat on our sawmill.